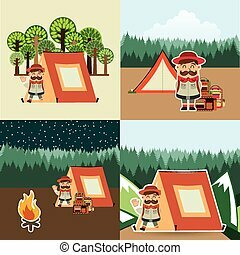 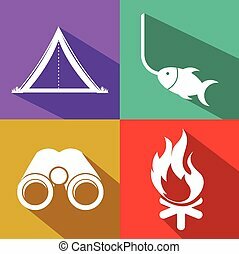 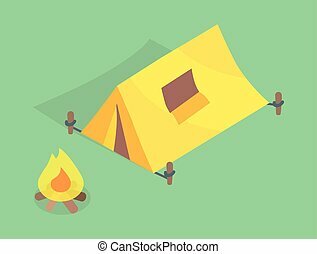 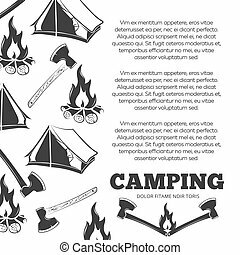 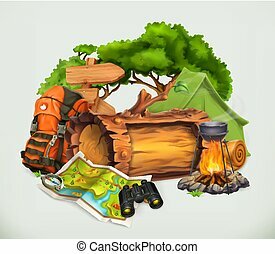 Camping adventure, bonfire fire and tent, vector. 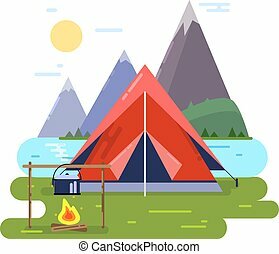 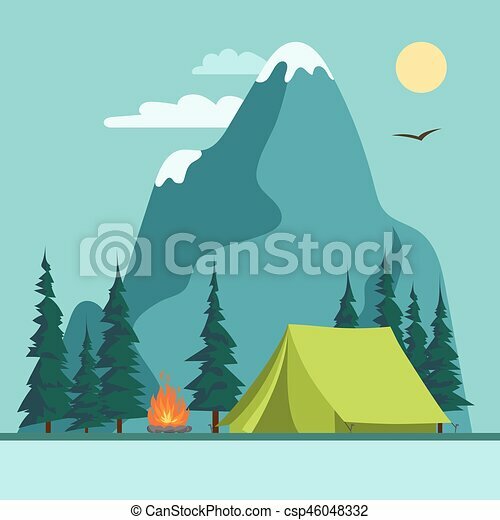 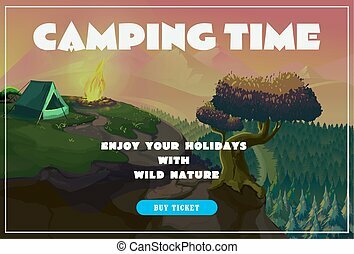 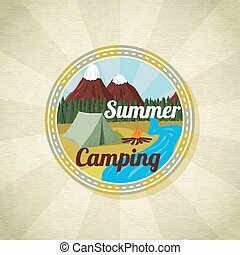 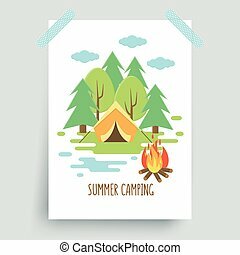 Camping adventure, summer mountains landscape, climbing trip, bonfire and tent, outdoor hiking, vector. 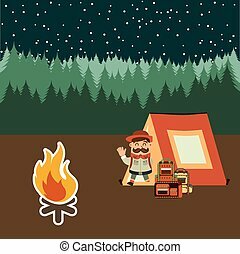 Camping tent, fire. 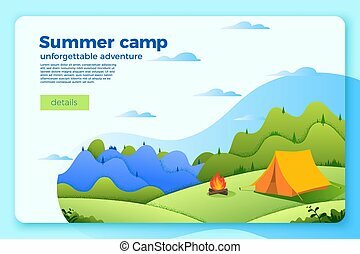 Surf camp. 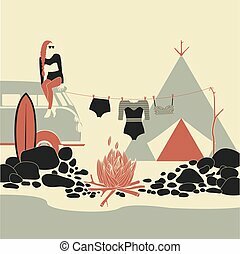 Beach Lifestyle.